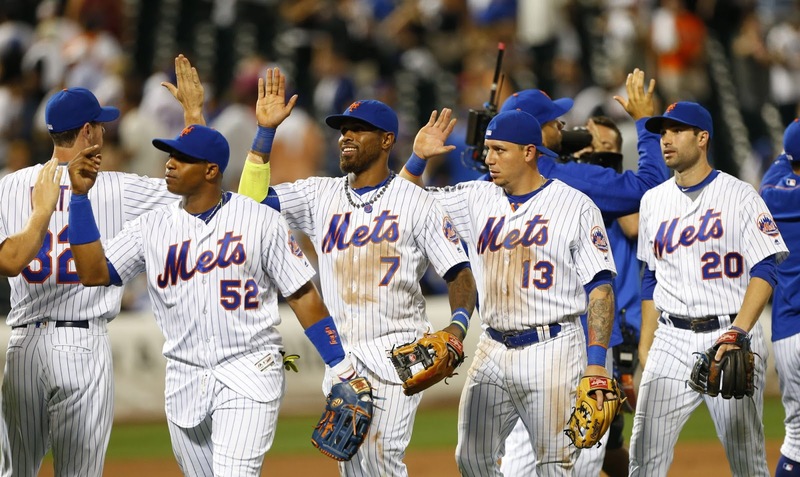 The New York Mets fought through injuries in 2017 to have a poor season in a poor division. Will a return of some key pieces and a change in manager bring about a better result in 2018? Noah Syndergaard will win the NL Cy Young. 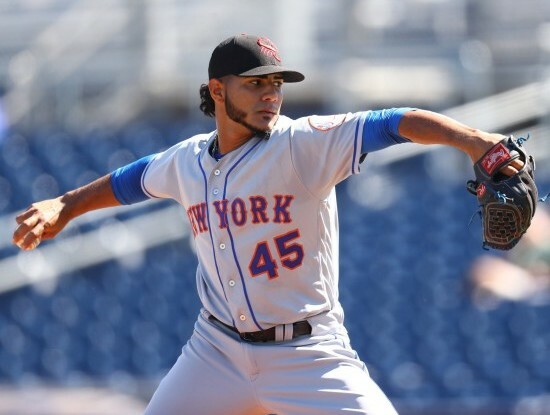 The Mets have built their roster on a dynamic young pitching staff with just enough offense to support it. Well, when only one of their five aces makes more than 20 starts in the season (including only 7 stars from Noah Syndergaard, the best of the bunch), it sets the team up for failure. When Thor went down early in the season, obviously my prediction went out the window with his season. The Mets made some very interesting moves over the offseason. 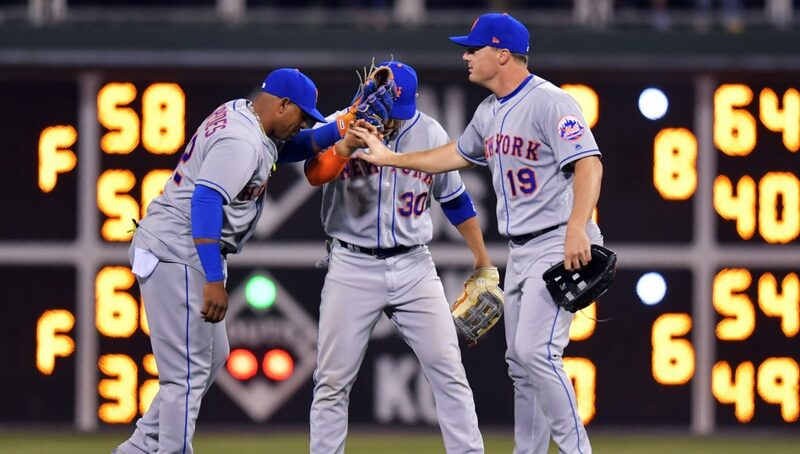 First, after trading away Jay Bruce to the Indians mid-season last year, the Mets were able to bring him back. Then they brought in veterans Adrian Gonzalez and Todd Frazier to man the corner infield spots. They brought in starter Jason Vargas to bring some stability to their oft-injured rotation. The biggest move the Mets made was letting manager Terry Collins go and bringing in Mickey Callaway, former pitching coach of the Indians, as their new manager. Like I said, their team is built around their pitching. However, ever since the Mets traded for Cespedes in 2015, their offense has lived and died with his production. When he is hot, the Mets are hot. When he is cold, the Mets are cold. 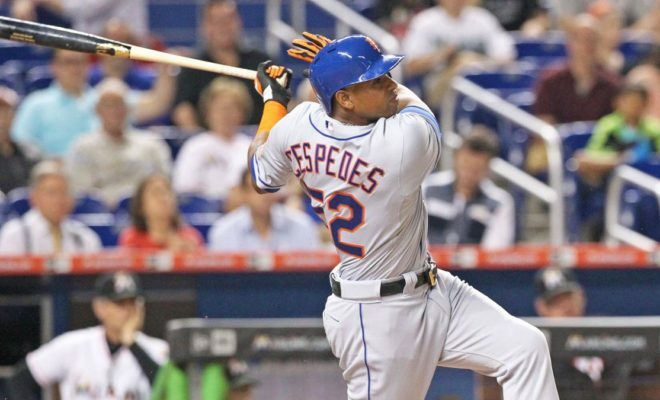 If the Mets are going to have a successful season, Cespedes needs to be MVP caliber. Before his injury last season, Noah Syndergaard had been emerging as one of the best pitchers in all of baseball. As such an imposing figure on the mound and with such electric stuff, it is easy to see why Thor is so good. 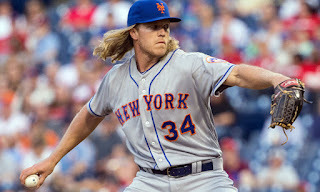 The Mets are expecting Syndergaard to be back to the freak he was before the injury, and the early returns from Spring Training say he is. An injury-free season from Thor will make for a much better season for the Mets. One problem with the Mets is they currently have a poor farm system. No players in their farm system are in baseball's Top 100 prospects, and none of their top 7 prospects are expected to make their debuts in the big leagues in the next year or two. The best prospect that is closest to the Show is Marcos Molina, a 23 year old Dominican pitcher. A recent elbow injury derailed some of his progress, and he has a lot of pitchers on the roster in front of him, but a lively arm like his might be able to help out the bullpen down the stretch. I do not have high hopes for the Mets this year. A manager that is pitching-centric will help, but I don't know if we will ever see the Syndergaard/deGrom/Harvey/Matz/Wheeler rotation dominate the league like everyone thought they would when they first debuted. Their offense is relying on comeback years from some aging veterans. The arms are not going to stay healthy. 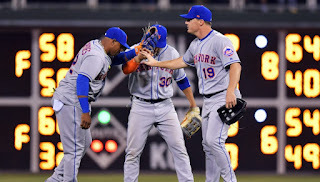 Add that to the fact that some of the other teams in the division have young cores that are ready to explode onto the scene, and the Mets will struggle to gain ground. 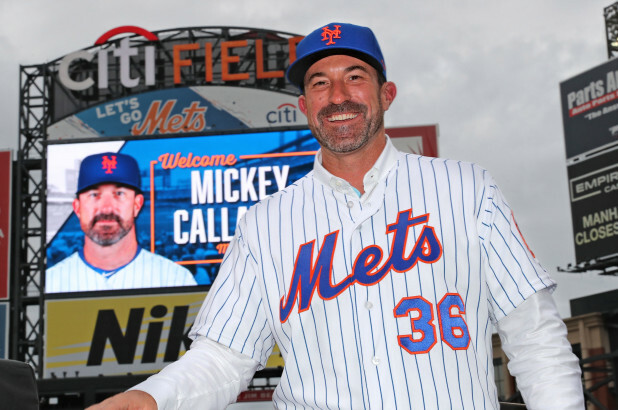 2018 could be entertaining for the Mets, but not successful. 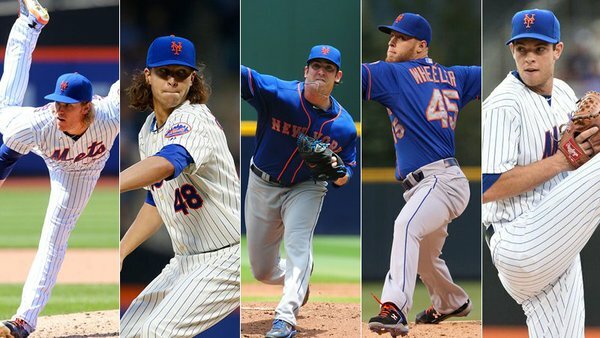 The Mets rotation will not see one trip through feature Syndergaard, deGrom, Harvey, Matz, and Wheeler again. At this point, it looks like it would take an injury from Jason Vargas for this to happen in 2018 (and all of them to get and remain healthy). It is easy to see a scenario where guys like Matt Harvey or Zack Wheeler end up traded or on other rosters by the end of the season. With other starters like Seth Lugo and Robert Gsellman in the fold, they are definitely starting pitcher wealthy and could part with some to build up the struggling farm system. This dream rotation they built seems to be over before it ever really got started. The encouraging part is the Mets might be better off without it. 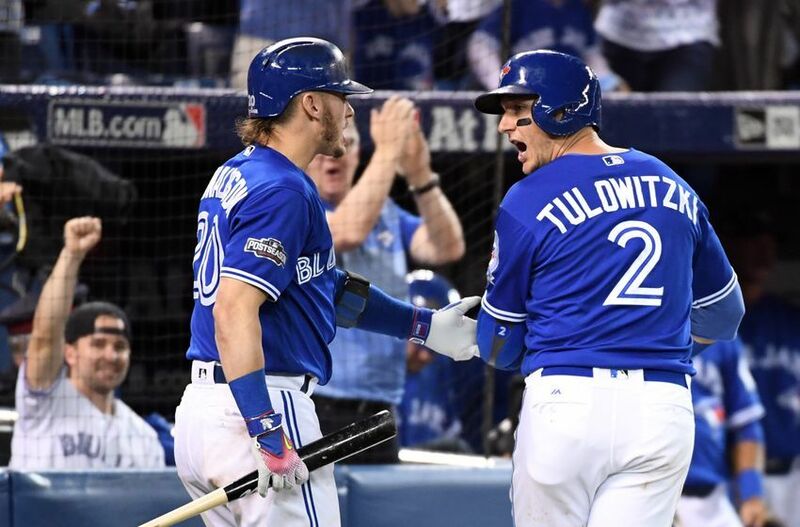 The Toronto Blue Jays went from perennial playoff contender to irrelevance in 2017. Does 2018 bring a return to form or more of the same? I had a pretty good read on the Blue Jays last year. Losing some key pieces, watching others age in front of them, and fighting through injuries led to them only one game out of the cellar in the AL East. As for their pitching, Marcus Stroman and JA Happ were able to each start 33 games, however 2016 All Star Aaron Sanchez had the setback I predicted, only pitching 36 innings in an injury-plagued campaign. The Blue Jays made some minor moves for some veterans that will help fill out their roster in 2018. 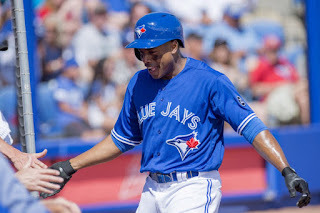 The most noteworthy additions were veteran Curtis Granderson to man leftfield and former top prospect Randal Grichuk to man rightfield. Some other minor moves for depth were infielders Yangervis Solarte and Aledmys Diaz along with pitchers Jaime Garcia and Seung Hwan Oh. None of these moves could be considered huge difference makers (maybe Grichuk), but it helps the lineup look respectable in 2018 as opposed to some of the "extreme tankers" (Marlins, I'm looking at you). In 2017, Justin Smoak went from a prime example of potential that never delivers to finally putting it all together to be an All Star. 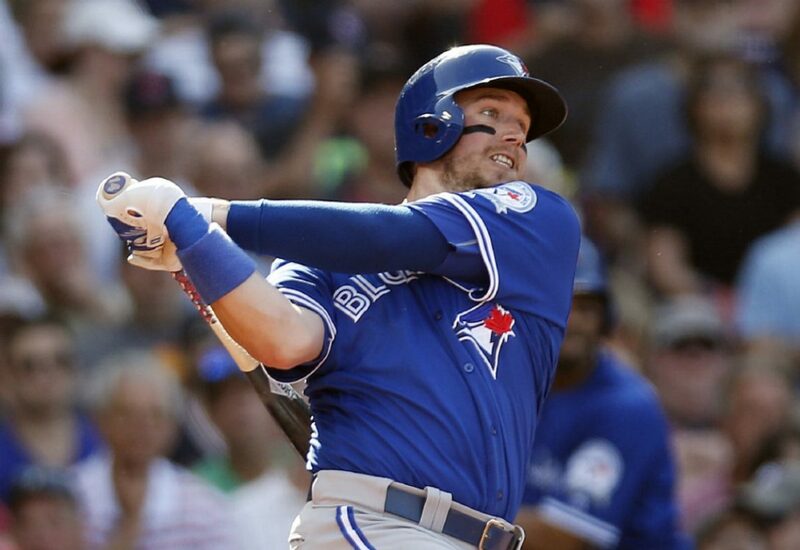 Now entering 2018, the Blue Jays are going to be relying on Smoak to anchor the center of their order with Josh Donaldson. More times than not, when a player has a spike year like Smoak did in 2017, it is more likely for it to be a fluke instead of a sign of good things to come. The Blue Jays are really hoping Smoak can buck the trend. Over the last few seasons, Marcus Stroman has emerged as one of the better pitchers in baseball. Only entering his age 27 season, Stroman will try and repeat a productive 2017 that started with him dominating in the WBC and finished with him being the best player on the Blue Jays in terms of WAR. Stroman is the ultimate competitor. Will he be able to stay interested and on top of his game if the Blue Jays aren't in contention? Also, he has thrown over 200 innings the last two seasons. He has not had a history of arm issues (although he is working through some shoulder inflammation right now). Will he be able to avoid the inevitable lost season young pitchers have had to arm problems? The Blue Jays have a pretty stacked farm system, highlighted by a couple second generation big leaguers. However, Vlad Guerrero Jr. and Bo Bichette are still at least a year away from being ready for the big leagues. 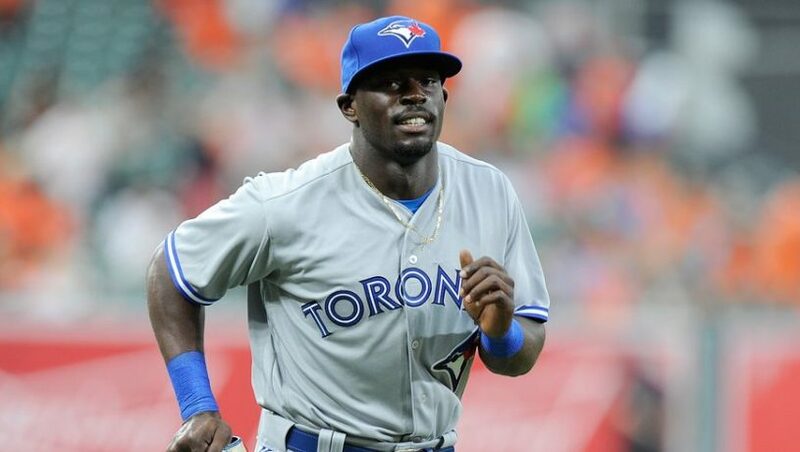 The intriguing one to watch for 2018 is Anthony Alford. This former football player for Southern Miss is a crazy athlete with blazing speed. His other tools are still developing, but the Blue Jays would love to see him break through in leftfield at some point this year and maybe even be their leadoff hitter with a little pop. Predicting them to finish in the middle of the AL East might be a little deceiving. The Yankees and Red Sox are the only teams in this division that will finish over .500. The Blue Jays are actually set up well moving forward. 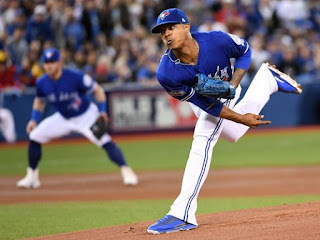 They have some big-time prospects waiting in the wings and a decent pitching staff, led by Stroman and Aaron Sanchez, that will still be there when they are ready to compete again. This season might not be a success in Toronto, but they are building to something great. 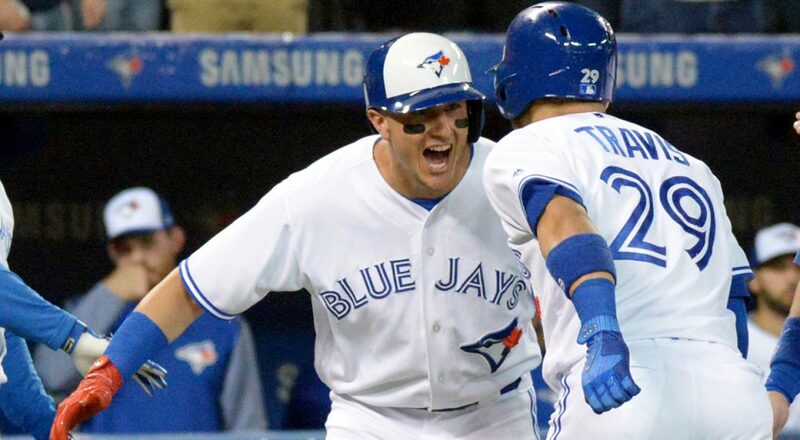 2018 will be Josh Donaldson's last season as a Blue Jay. Josh Donaldson only has one more year of control after 2018. His relationship with the Blue Jays' front office has been rocky at best throughout his time in Toronto. Chances are he will not be re-signing with the Blue Jays. The Blue Jays probably don't want him back considering they have one of the top prospects in the world (Vlad Guerrero Jr.) that plays third base. So all this leads to, ideally, an offseason trade to bring back more prospects that will support this new wave that will be ready to compete in a few years. Labels: 2018, Aaron Sanchez, Anthony Alford, baseball preview, Bo Bichette, Curtis Granderson, Josh Donaldson, Justin Smoak, Marcus Stroman, Toronto Blue Jays, Troy Tulowitzki, Vladimir Guerrero Jr. The Baltimore Orioles had a very disappointing season in 2017, going from the playoffs to the cellar. Which team will we see in 2018? Manny Machado will be starting at shortstop by the end of the season. 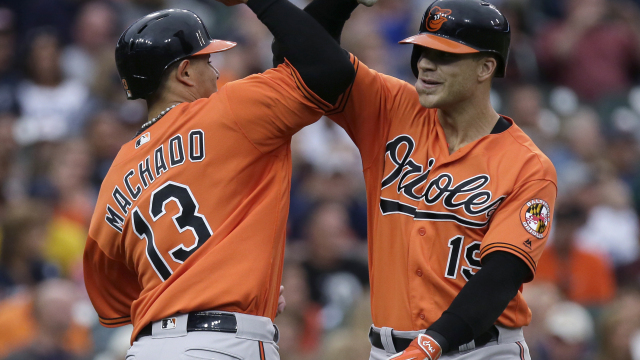 The Orioles fought through some key injuries and some low production out of some key performers to finish at the bottom of a very competitive AL East. 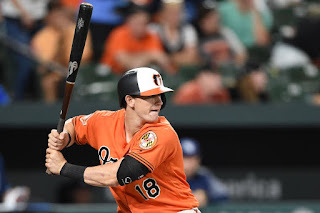 As core players like Adam Jones and Chris Davis begin to show some age, players like Jonathan Schoop and Trey Mancini emerged as potential stars moving forward. As for Manny Machado, he did not have his best year. Add this to the emergence of Tim Beckham at shortstop, and Machado was forced to stay at third base (at least until the end of that season). Once again, the story of the Orioles' off-season was their inability to make any moves to improve. They made some minor moves like adding Colby Rasmus (coming off his year sabbatical from the game) to replace Seth Smith, and signing Andrew Cashner and Chris Tillman after the prices fell low enough. In a year that many people think is the last of their current window (Manny Machado, Adam Jones, and Zach Britton have expiring contracts at the end of the season), they once again failed the offseason. The biggest move they made was finally giving in to Machado's wishes of playing shortstop, even though they had Tim Beckham emerge as a quality shortstop and Machado is not projected to be on the roster next year. Nothing they did made sense. There are a lot of players in this lineup that could be in this spot. Jonathan Schoop is looking to repeat his monster production from last year. Chris Davis is trying to return to the monster seasons he had a few years back. Mark Trumbo is trying to prove 2016 wasn't a fluke after a poor 2017. 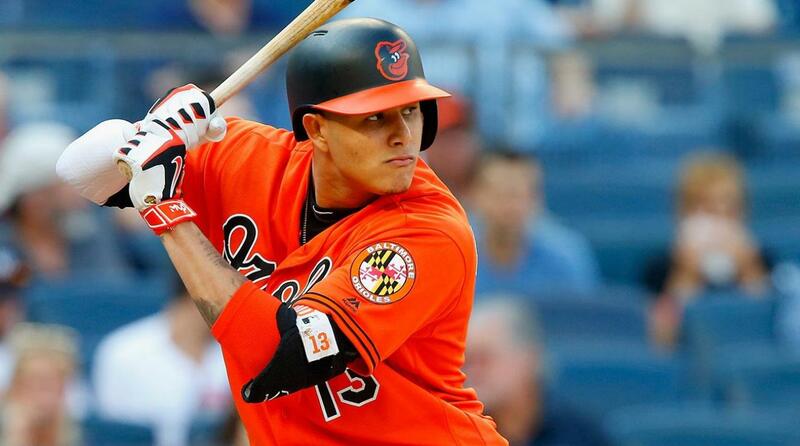 With all that said, this season for the Orioles will be defined by what happens with Manny Machado. He is controversially switching positions. He is in a contract year. Many thought he should have been traded this offseason. Many believe he will be traded by the Trade Deadline. 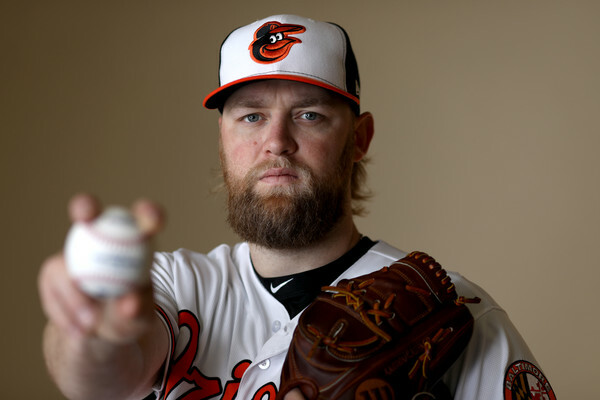 Most assume this is his last Opening Day in an Orioles uniform. What happens with Machado will define the Orioles' season. Similarly to Machado, Zach Britton will play a huge role in how successful the Orioles are this season. His situation is very different though. 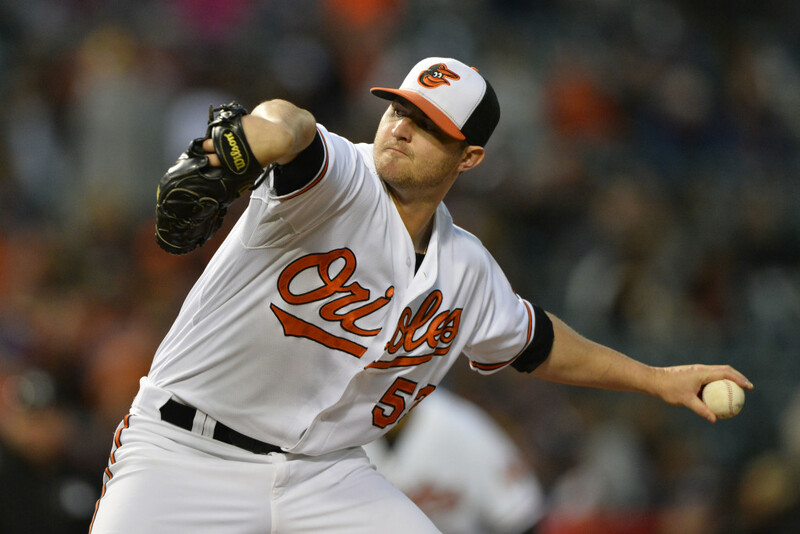 After rupturing his Achilles last season, Britton will not see the field until the end of May at the earliest. Much like Machado, everyone assumes his days in Baltimore are numbered. If he comes back and shows he is the dominant Zach Britton, it not only help out the Orioles but it makes him much more valuable in the potential trade market. If he can't get back his dominance, the Orioles just lost the value of one of their best players. Now let's talk about someone that will be on the Orioles' roster after this season is over. Austin Hays is the top prospect in the organization. 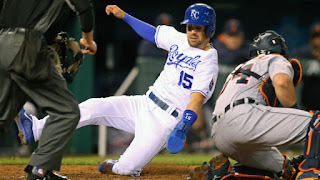 A natural centerfielder, Hays got some time at the end of last season playing corner outfield for the O's. I wouldn't be surprised if he ends up the everyday rightfielder after some time as he waits for Adam Jones to potentially move on after 2018. The Orioles still have some great talent. Machado is a stud, Adam Jones still has some production left in the tank, and the bullpen is solid. However, this organization is a mess. Their lack of activity the last few offseasons will not allow them to compete in 2018. The whole season will be a giant distraction waiting to see what will happen with Machado. In the meantime, what could have been one last run will turn out to be a dumpster fire. I had them in the cellar before the Rays completely dismantled their roster after Spring Training started. 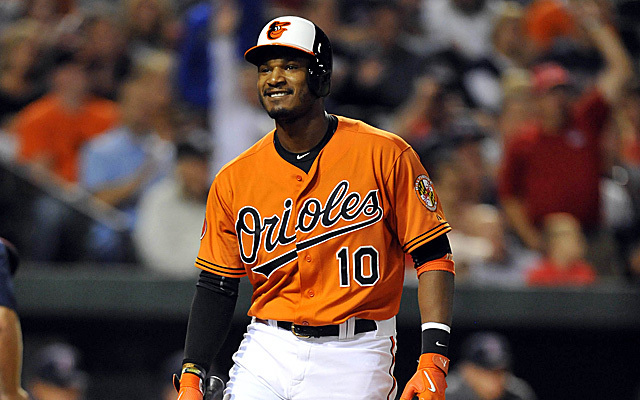 Manny Machado, Adam Jones, and Zach Britton will all end the season on the Orioles' roster. This will be a lost season in Baltimore. Logic says that when you have a lost season, you trade expiring contracts to contenders for prospects that will help you build back up. However, the Orioles haven't done anything resembling logic for several years. They will hold onto their assets all season, refusing to trade. They will sign them to qualifying offers in the offseason and collect the draft pick compensation when they sign elsewhere. Adam Jones is the only one with a chance to return, but with the direction the O's are going, I wouldn't want to. Cut bait and run! 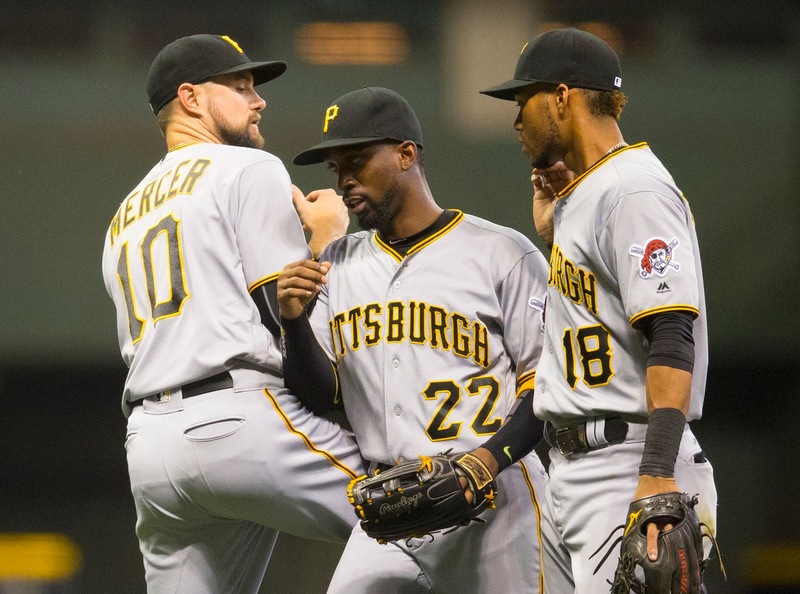 The Pittsburgh Pirates have taken steps backward in the last few seasons. Will some recent roster moves lead to more success in 2018? The Pirates' season seemed to be derailed before it even started when Starling Marte was suspended for 80 games with a PED positive test. Also, Jung Ho Kang, their Most Important Hitter pre-season last year, never played a game for the Pirates as he couldn't secure a work visa to return to the US. This all started them down a path where they never really competed all season. As for my Fearless Prediction, I may have just been a little premature. The Pirates appeared to try and reset their roster a little bit this offseason, trading away two of their most productive players from their postseason runs. 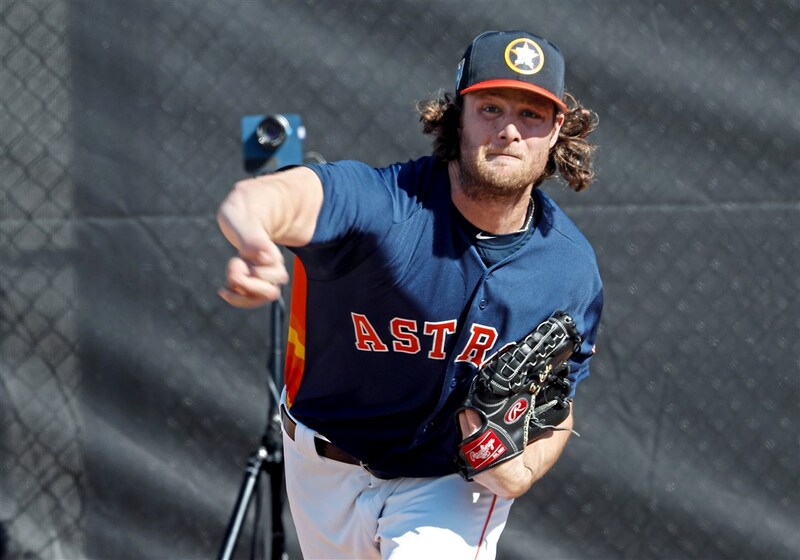 Andrew McCutchen is now a Giant, and Gerrit Cole has joined the World Champion Astros. The only experienced players that have been added to the roster are outfielder Corey Dickerson and pitchers Joe Musgrove and Kyle Crick. These are not really names that are going to excite fans considering what left. This is a big year for Starling Marte for many reasons. First, he is the biggest established star left on the Pirates' roster. 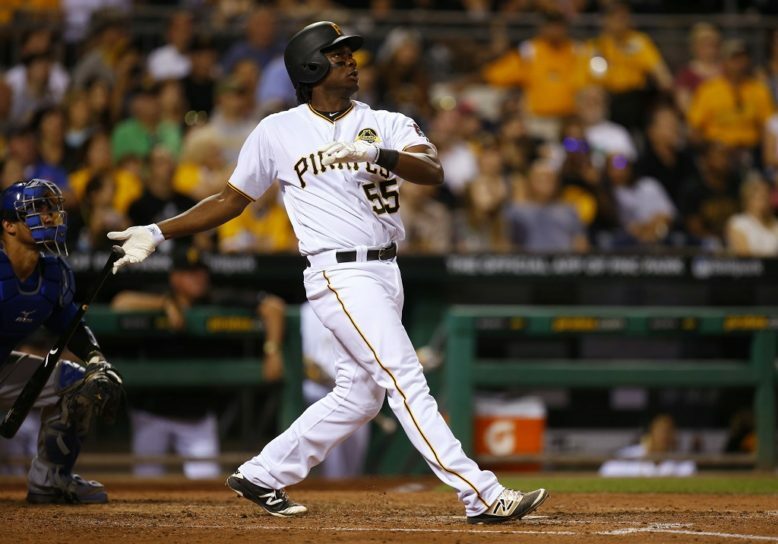 There are some emerging stars like Gregory Polanco or Josh Bell, but Marte is still the best player. Also, Marte has some redeeming to do after last season and his suspension. He needs to prove his production was for real and that he can be counted on and trusted moving forward. Lastly, the Pirates organization is probably looking at Marte this year and deciding whether he will be a centerpiece of the franchise moving forward or will he be another player to be moved for more prospects. 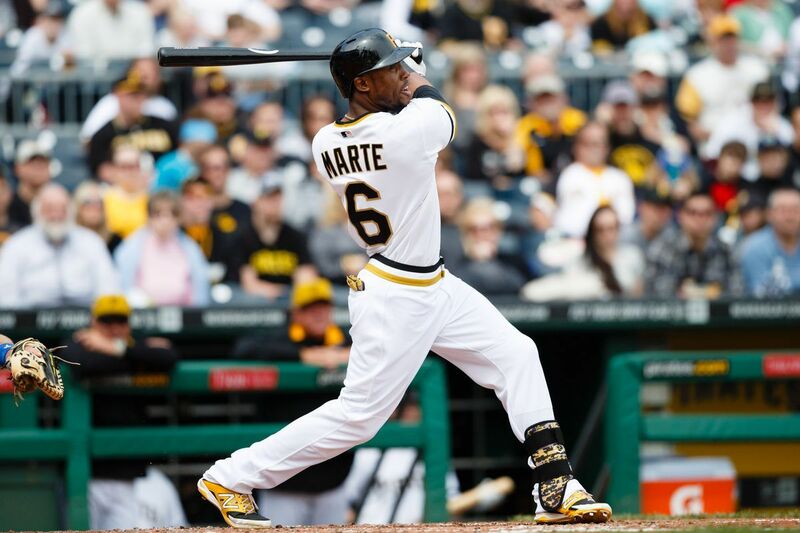 With all these factors in mind, it is a huge year for Starling Marte. 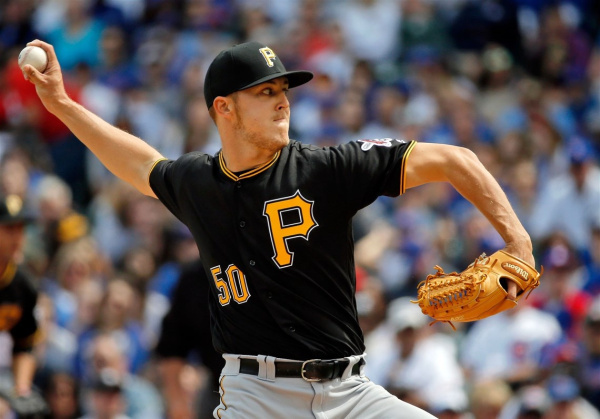 Finally, the Pirates were able to see a full season from Jameson Taillon in the big leagues in 2017! A top prospect derailed by a myriad of health issues, Taillon finally got to start what everyone still hopes will be a promising career. In 2017, Taillon was an average starting pitcher. In 2018, he will be asked to start progressing into the star everyone hopes he will be. The Pirates are banking on their new look team to be anchored by a bright young pitching staff. Taillon, along with Tyler Glasnow, will be asked to be the anchors of that. The next arm to join the young Pirates rotation will be 21 year old Mitch Keller. A former 2nd round pick from 2014, Keller is the 15th best prospect in all of baseball with a potential of being an ace to be counted on moving forward. 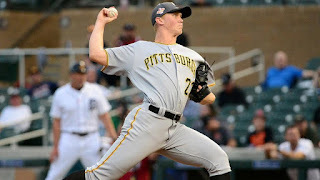 If the Pirates are able to establish Taillon, Glasnow, and Keller as the phenoms they can be, the Pirates rotation will be regarded similarly to how we talked about the Mets a few years ago. The cupboard isn't bare, but they are definitely taking a giant intentional step back in 2018. They still have some young emerging stars and a strong pitching staff, but they are looking at the top three in this division, realizing they can't compete with them, and re-tooling to fight another day. Look for them to be a postseason factor again in 2020. Starling Marte will be traded this season. Including team options, Marte is under contract through 2021 on a very club-friendly deal. 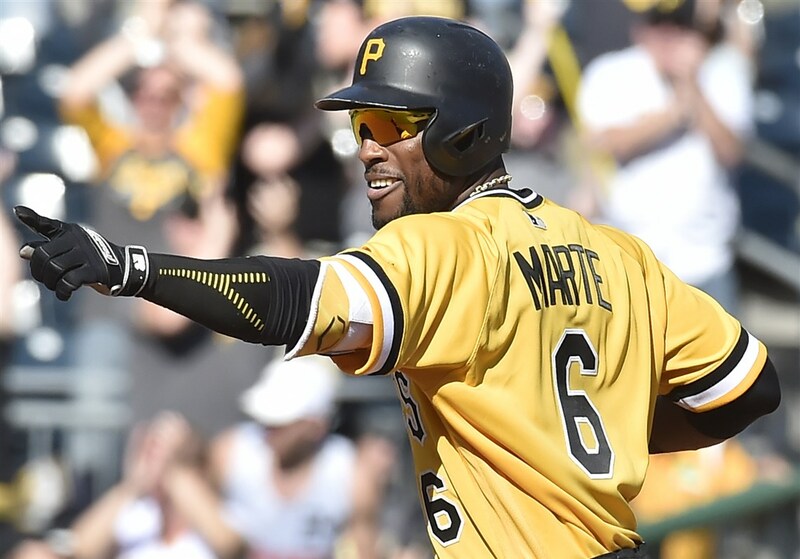 However, by the time the Pirates are looking to compete again in a couple years, Marte's contract will be ready to expire. He is most valuable to them right now: an All Star player in his prime with club control that is ready to help a team now. They could get a pretty large package back for him that could set them up moving forward. It would also clear space for top prospect Austin Meadows to crack the big league lineup. 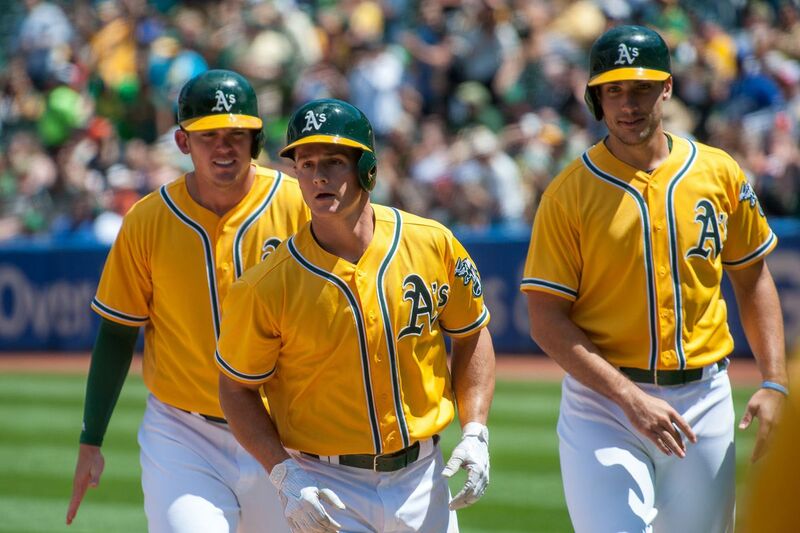 The Oakland A's always ride a fine line between tanking and competing. Will they be relevant in 2018? 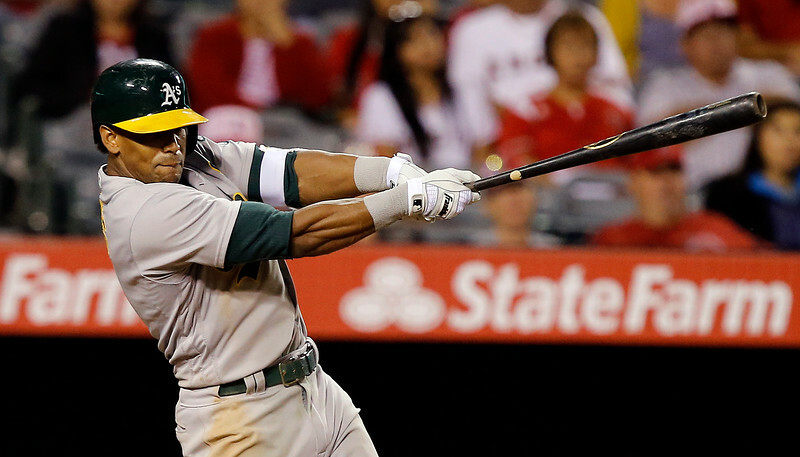 Half of the A's Opening Day roster will be traded by the end of the season. 2017 was another below average season for the A's. It was not that long ago that they were trading for guys like Jon Lester and Jeff Samardzija mid-season to make a deep run in the playoffs. Now they are hardly recognizable from that playoff team. They have spent the last few seasons building up a new young core to lead them moving forward. As for the prediction of roster turnover, about half of the players that played Opening Day last season are no longer in the Oakland organization. There was once again a decent amount of roster turnover for Oakland this offseason. 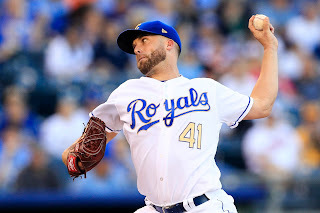 They spent some resources building up their bullpen, bringing in a young arm in Emilio Pagan (trading slugger Ryon Healy) and a veteran in Yusmeiro Petit (free agency). The biggest moves they made that can have lasting impacts are the signing of All Star catcher Jonathan Lucroy and the trade for outfielder Stephen Piscotty. These are moves that have the potential to help Oakland right now, showing they feel they are getting close to competing again. The trade for Piscotty was, reportedly, to get him closer to home for family reasons. However, it was a great move for Oakland that may pay off well. Piscotty was touted as the next great All Star outfielder for the St. Louis Cardinals several years ago when he made his debut. However, he rarely showed signs of eclipsing the lofty expectations put upon him. If he can find some more production in a place that may be more comfortable for him, this could turn out to be a steal for the A's and a potential centerpiece of their new wave of young talent. Only a couple years ago, Sean Manaea was the A's top prospect looking to break onto the scene. Now, Manaea is actually one of their more experienced starters. He is also on the verge of breaking out and showing what he can really do. He showed flashes of brilliance last season, but it was inconsistent. 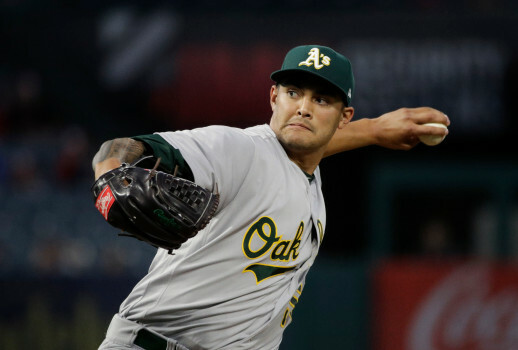 It is time for Manaea to show if he will be a star for the A's moving forward. The first round pick of the A's in the 2016 draft, A.J. Puk is a big left-handed pitcher that seems to be on the fast track to the big leagues. In his first full season of professional baseball, he led all of the minor leagues with 13.2 strikeouts per 9 innings. 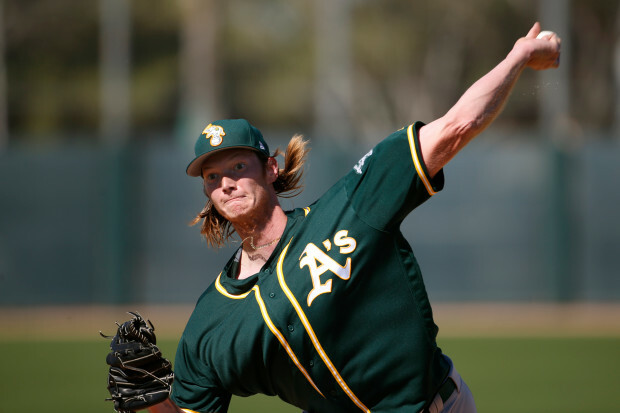 The A's will probably be looking to give some youngsters a chance to show what they can do at some point this season, and the debut of Puk will not only be one of them but will probably be one that make some noise around baseball. Let's start with the good news. The A's are looking to finally have this new young core starting to emerge. 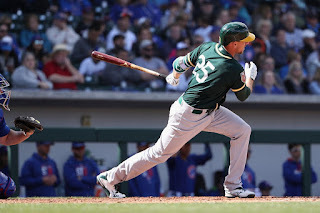 Players like Matt Olson, Matt Chapman, Stephen Piscotty, and Dustin Fowler are going to be mainstays in their lineup for the foreseeable future. As they grow together, they will start to compete and be relevant again. The A's will probably be better this year than they were last year. Now the bad news. The A's are stuck in one of the most competitive divisions in baseball right now. The Angels and Mariners are both expected to make strides towards a postseason berth, the Rangers can never be counted out of being relevant every year, and the Astros are the reigning World Champions. 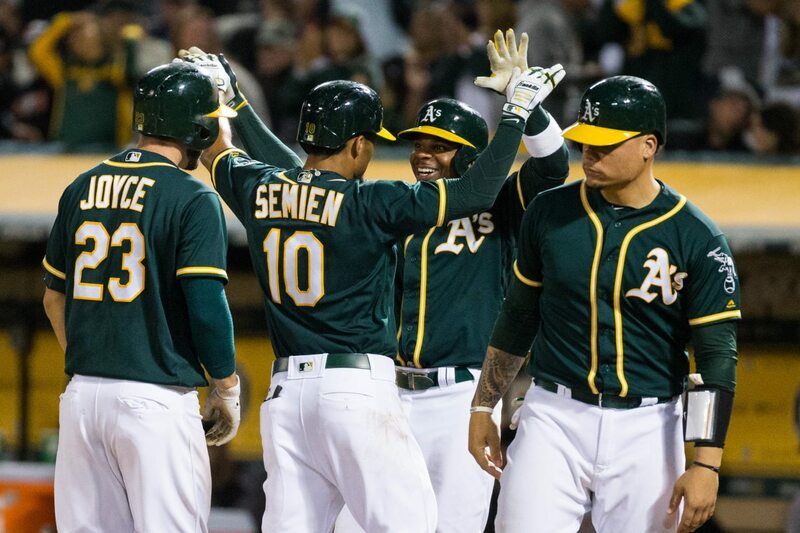 The A's are heading in the right direction, but their record might now show it in 2018. Khris Davis will be the starting DH for the AL in the All Star Game. Kris Davis has quietly become one of the more prolific power hitters over the past few seasons. In 2017, he had 43 home runs and 110 RBI's. This followed up a 2016 season of almost identical numbers. His biggest knock has been poor defense, but if he stays the designated hitter for the A's this season, he has a chance to finally be recognized. There is some great competition in this spot, but Davis has a chance to really shine in 2018. 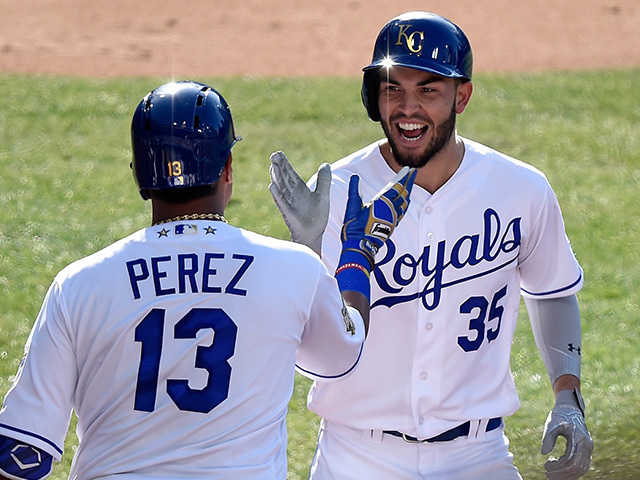 The Kansas City Royals looked to hit the reset button on their franchise after a good run of strong success with a core of veteran, homegrown players. Are they in full rebuild mode, or will they still find a way to compete in 2018? I had predicted about right for where the Royals would end up last year. They probably exceeded their own expectations, which is why they weren't looking to sell like I thought they would at the Trade Deadline. Instead, they chose to stay loyal to their core four players that, most likely, would not remain loyal to them once free agency commenced. Yes, they lost some important pieces. Eric Hosmer is now a Padre, Lorenzo Cain is now a Brewer, and Jason Vargas is now a Met. However, they story of the Royals' offseason is how they ended up maintaining more than everyone thought. 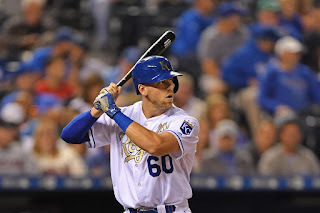 Early on, they inked Alcides Escobar to remain their shortstop, and in the last day or two, Mike Moustakas re-signed after all other options were unavailable. 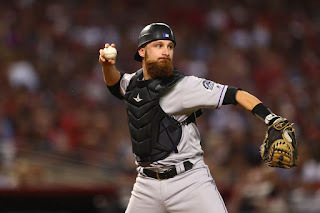 There were a couple smaller signings (John Jay, Lucas Duda), but the story really was how they were able to keep half of their stars that hit free agency. Although all the focus last season was on the group of pending free agents, Whit Merrfield quietly had a very productive season. Even though guys like Moustakas, Escobar, Salvador Perez, and Alex Gordon are still on the roster, Merrifield might represent the future of the Royals (or he might be their most valuable trading piece). Either way, the Royals will be much better off this season if Merrifield is able to duplicate his production from 2017. 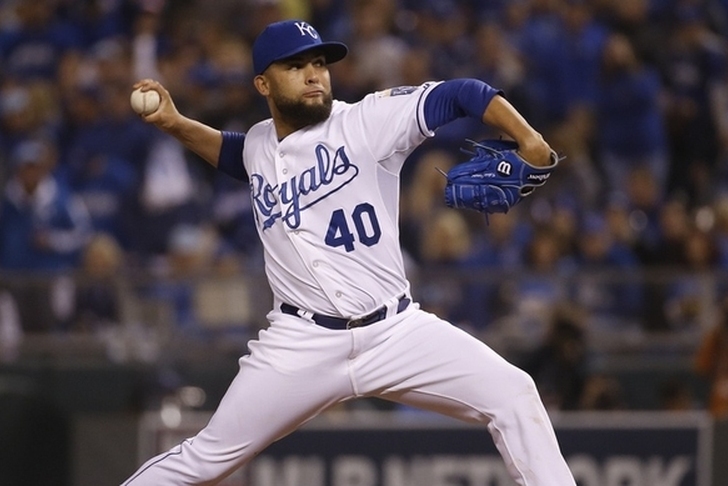 Kelvin Herrera was the forgotten man in the Royals' legendary bullpen during their World Series runs. Now he is the only one left. Last year was his first opportunity as closer for Kansas City, and he had difficulty repeating his dominance as a setup man. After posting an ERA+ of 280, 155, and 157 in 2014-2016, it dropped to 106 in 2017 which is just barely above the league average of 100. The Royals pride themselves in their bullpen, and Herrera needs to show he can anchor it. The Royals are in a bad position to try and rebuild as their farm system is not very strong. They do not have a single prospect ranked in the league's top 100, with most of their best prospects at least 2 or 3 years away. The one that should have an impact this season is Hunter Dozier. A corner infielder / corner outfielder, Dozier has a shot of making the Opening Day roster. He might even start Opening Day with the recent 80 game PED suspension of Jorge Bonifacio. 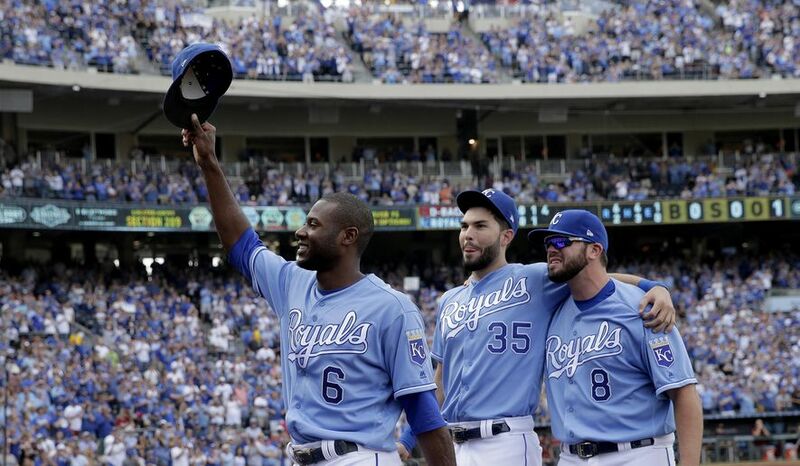 The days of Kansas City's relevance appear to be over. They may have been able to keep two of their four free agent stars, but they kept the lesser two of the four and only for one more year. Their starting rotation is weak, their bullpen has issues, and their lineup might still have some names but it lacks the production of their best years. 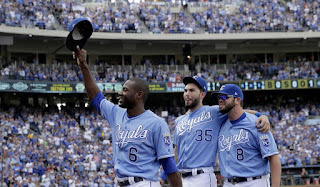 I like rooting for the Royals, and I hope we don't have to wait another 30 years before they are relevant again. 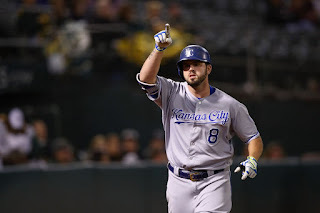 Mike Moustakas will be traded mid-season. I may be repeating my prediction from last year, but I think it is even more likely to happen this year. He only re-signed with the Royals because no other option was available. He wants to be on a competitor, and the Royals are not going to be that. They signed him for one year obviously to leave open the opportunity to turn him into prospects mid-season if the season goes south. He will be moved if the Royals know what they are doing.